Cable ISP Virgin Media UK has begun their New Year sale early by discounting the prices of their dual-play ultrafast broadband and phone packages back down to levels not seen since the Black Friday week. For example, the price of their top 350Mbps package is now just £37 per month for 12 months (£57 thereafter). As usual all new customers will also receive a Hub 3.0 (SuperHub v3) wireless router, a 12 month minimum term contract, unlimited usage, access to Virgin’s UK network of WiFi hotspots (e.g. London Underground), free UK weekend phone calls, internet security / parental controls and email. A one-off set-up fee of £25 (one-off) also applies. The following prices will be available to order until 17th February 2019. 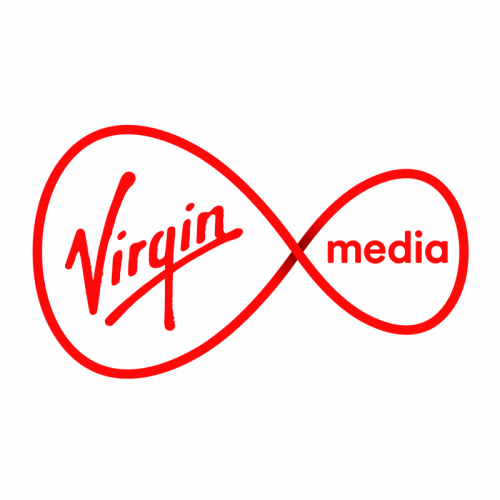 Sadly this also means that Virgin Media have now ended their previous discounts on the standalone broadband packages. We should also remind readers that Virgin’s network is mostly only available in urban areas and this covers over half of UK premises. Interestingly the SALE only applies to their 100Mbps, 200Mbps and 350Mbps tiers, which does create a rather odd situation with Virgin’s entry-level 50Mbps package that ends up being the same price (at least for the first 12 months of service) as their 100Mbps tier. What about deals for existing customers or do they continue to get ripped off? deals for existing customers…. hahahahah best joke of the year. VM doesn’t give a &&&& about existing customers. Best you can do is tell em you want to leave, or when they send you that letter 3 times a year telling you the price has gone up call them, and tell them you want to quit (you can end your contract without penalty if they increase the price) it’s the ONLY way to stop VMs moneygrabbing. They are the only ISP I got letters from during a 12 month contract that the price was going up. Always. VM’s business model is :: sell more capacity/bandwidth than you have … then every 3 months send letters bumping up the price since they know majority of customers will just accept it. If you are not happy you can always change provider, then again all the other providers also only have “deals” for new customers, so you will be unhappy with all of them. Which kind of, as usual makes your rant meaningless. How i can be a virgin troll or supporter or anything else you see as positive towards virgin when my very first sentence says you can change provider. I guess only you and you errrm “thought process” will ever be able to figure out. VM let me walk away to Plusnet today after being a good customer for over 10 years. The attempt to keep my business could be described as half hearted at best. Not too surprising. They aren’t going to get much out of trying to compete with them. And I had to fight to get 350 for £41 a month and agree to 12 months. Do you ask for one? Our service has gone down regular as clockwork for the past 3 months no explanation nothing…plus when we complain about the old tivo box their reply is buy the V6 box that they willingly give away to new customers hate virgin only reason we’re with them still is cause some how their still cheaper than bloody sky…but may look into going back with sky soon. Are you sure about that? I’ve sucessfully forwarded ports in the so called superhub. Rant about them, says they are leaving, but at the same time mentions been with them for years… Why anyone would stay with a service for years they are unhappy with and then for month upon month say the are leaving but never do is like trying to discover the meaning of life…. Will never and has never made sense. My twelve month contract ending soon, the best I have been offered by retentions is a downgrade from 100mbs to 50mbs for an increase in price of 20%. You must have got a really good sign-on deal then, considering that their broadband only prices even out of contract are quite competitive.